When should the windscreen of an Audi TT be replaced? Can I replace my own Audi TT windscreen? Can I have my Audi TT windscreen replaced cheaply? The Audi TT is a striking appearance. This type has three generations and has hardly seen any competition. 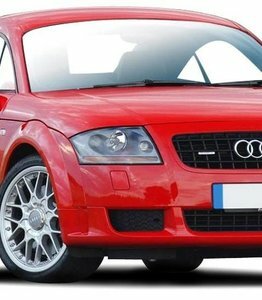 Do you have this sporty car and do you need a windscreen replacement for your Audi TT? In that case it pays to look at after market glass. That way you can save a lot of money. Before we discuss this further, we first look at the Audi TT itself. What is the difference between the three generations, and what firsts did Audi have with this type? which we know from the Audi A4. The TT is related to the Seat Leon, the Volkswagen Golf and of course the Audi A3. The TT was immediately a striking model. Small, fast and above all a type that had no competition in this segment in 1998. A good move from Audi where they worked hard to expand the market. In 1999 Audi introduced a special version of the TT. This was many times lighter, thanks to the fabric roof that is operated by hand, but has exactly the same engines and is secretly a coupé and not a real roadster. Mazda was already guilty of this in 1990 with the Mazda MX-5, which was called a roadster by the manufacturer itself, but was also actually a coupé. In 2005 it was a party at Audi's. The Quattro technology, essential to Audi's success and survival, existed at that time for 25 years and this should be celebrated. That's why a special version of the TT was made, the Audi TT Quattro Sport. This model has no rear seat and is therefore much lighter than the actual TT. Thanks to the better weight distribution and nice style elements (including the characteristic red brake calipers), this model is able to distinguish itself from its predecessor. technology with much more aluminium (69%) and much less steel. By putting the engine in the front and using the steel mainly around the rear axle, Audi ensured a perfect weight distribution which benefits comfort. The second generation has another first. It is the first TT with a diesel engine. The first generation was delivered exclusively with petrol engines and Audi changed that with generation 2. Although this would be of short duration by the way. for the first time in this type, a screen of more than 12 inches that replaces the counters on the dashboard. In 2018, the TT will be given a facelift. Some external features will be changed, but another change is much bigger. The new Audi TT will no longer be available with a diesel engine from 2018. 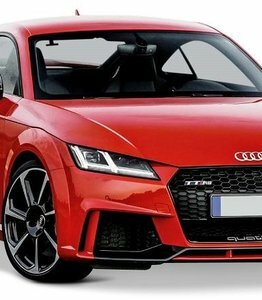 Especially the TT RS is a striking appearance. This speed monster increases to 100 kilometres per hour from a standstill within four seconds. The maximum speed is limited to 250 kilometres per hour (but can be increased to as much as 280 kilometres per hour if you find it convenient). The Audi TT had no competitors when it was launched. Even now there are few alternatives in the same segment. The only competitors that could possibly compete were the Peugeot RCZ and the Mercedes-Benz SLK. But where the Audi TT was sold almost 5000 times in the Netherlands alone (just like the Audi Q3 and the Audi Q7 for example), the counter for the Peugeot remained around 1000 copies. Mercedes-Benz SLK did a lot better with just under 4000, but clearly couldn't compete with the competitor from its own country. The windscreen of an Audi TT must be replaced if the windscreen is damaged in the driver's field of vision. In the event of a single crack outside the field of vision, the windscreen replacement is not immediately mandatory. But given the fact that the average Audi TT owner is very proud and careful of this unique appearance, a car window replacement in case of serious damage is never a bad idea. Especially when you drive an Audi TT Roadster and the windscreen is technically your only protection. Only people who have a lot of experience with windscreen replacement can replace a windscreen. After all, you want to make sure that there is no leakage, that the windscreen is fitted correctly and that the windscreen cannot suddenly come loose when you have to brake hard. Do you have a lot of experience in replacing windscreens and do you have all the tools in house? Then you can order a new Audi TT windscreen from us without installation. Do you not have the knowledge (or the time)? Then simply have the work done by our certified partners. You can have your car window replaced inexpensively by not choosing the brand glass of your Audi dealer. A car window with an Audi brand logo is actually only more expensive thanks to the Audilogo. But how much does a new windscreen without the Audi brand logo cost? A lot less and that means that you can immediately save on costs. After market automotive glass is made in factories where branded glass also comes from and meets exactly the same requirements. 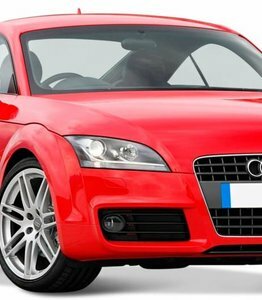 On our website you can directly select your Audi TT model after which you will see our competitive rates for new Audi windscreens that are suitable for your car. 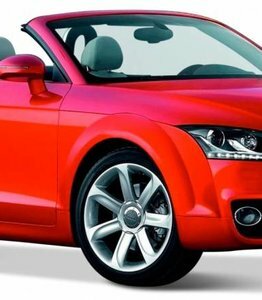 The windscreen replacement of your Audi TT can be done at competitive rates within three working days. If you order a new windscreen today (with or without installation), we will ensure that the new windscreen is delivered to you within three working days at the latest. If you choose for installation, an certified partner will immediately install the windscreen so that your Audi TT is back on top of its game. Do you have any questions or can't find the windscreen for your Audi TT on the website? Please feel free to contact us. We are happy to help you.